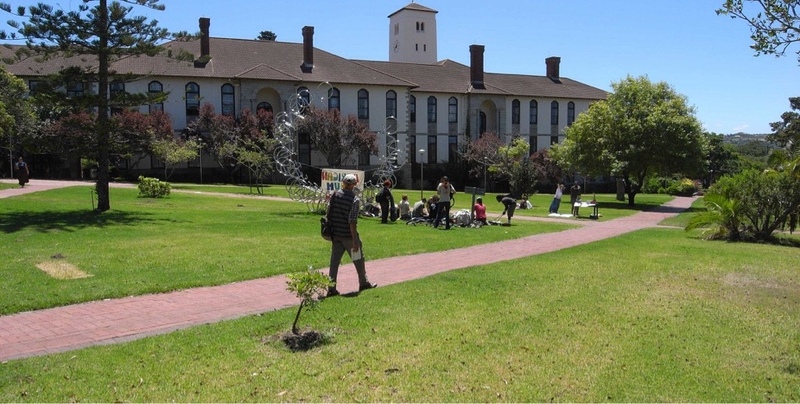 Rhodes University students were unhappy after the university announced the return of the Minimum Initial Payment (MIP) or Initial Fee Payment (IFP) for 2018. Prior to registration, students are required to pay an initial payment, which is approximately between 35% and 50% of the cost of their tuition and residence. According to the university website, South African self-paying students are expected to pay 10% of their tuition fees and 25% of their residence fee, while international students are expected to pay 50% for tuition and 50% for their accommodation, before the 19th of January. The system had been scrapped after the 2015 Fees Must Fall movement, the university said it would scrap the MIP and students would be expected to pay only 10% as registration fee for tuition and accommodation by a given date. Students were confused and outraged when they discovered that the university had made changes to the initial payment. Mabizela stays doing the most! Here’s the signed agreement RE: MIP issue. 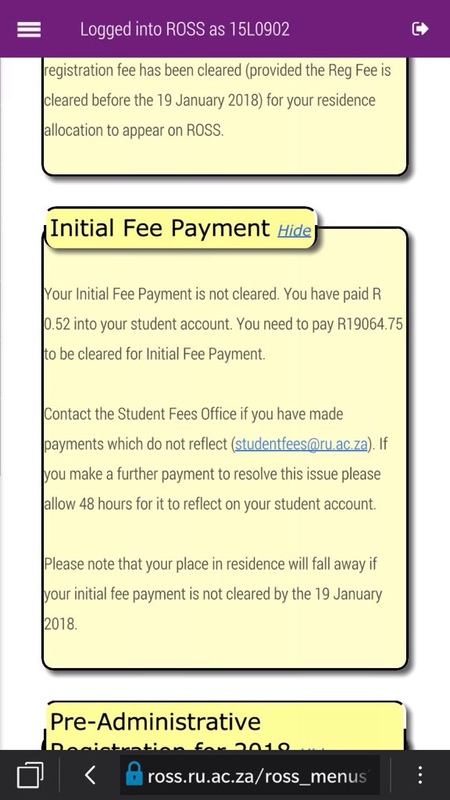 Sisipho Ntsabo (no relation), a third-year self-paying Journalism student, said the university had not communicated with her about the increase in the initial fee payment. 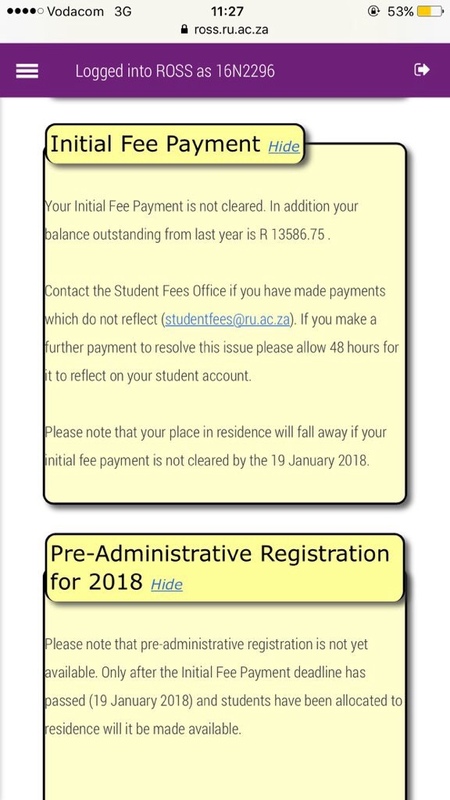 â€œThis is something I found out on Twitter last Friday, and as a student who stills has an outstanding balance (of R14 000), they didn’t even tell me how much the initial fee payment is, they only indicated that I have an outstanding balance. But we are expected to fork out this ridiculous amount in two weeks,â€ she said. Ntsabo said she can’t even afford a payment plan with the university because her family is struggling to pay for her fees. 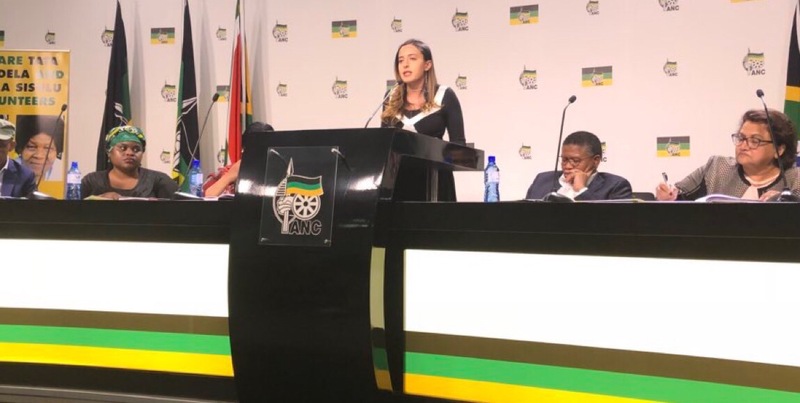 â€œI canâ€™t even apply for NSFAS, because I am slightly over the missing middle threshold and this could mean my parents will have to take out small personal loans to pay for my fees,â€ she said. â€œI was also aware of this in Friday, there’s no communication prior to the announcement whatsoever. I think itâ€™s ridiculous to scrap the previous initial payment fee which was more accessible and affordable than the current one,â€ he said. The university said that the effects of inflation on the institutionâ€™s finances was theÂ reason why it had to increase the IFP. Mhlophe said the fee framework would be communicated to students and funders as soon as the government funding plan for 2018 was communicated to the university. Nhlakanipho Mahlangu, the universityâ€™s Student Representative Council president said that the university was meant to communicate the final decision on the IFP with the student body, but failed to do so. â€œOne of the things that we communicated unequivocally to the university council was regardless of the fee increment they impose, that must be communicated to the students timeously and it must be communicated to students in a variety of creative ways, but I am aware that has not happened,â€ she said. Mahlangu said that students will be allowed to negotiate payment options with the university. â€œAs far as we know that the agreement is very flexible and students are able to negotiate what they are able to pay, and furthermore we have requested and demanded there be extreme leniency in the application of this Initial Fee Payment,â€ she added. The EFF Rhodes Student Command said it will be taking legal action against the university. “Research conducted in 2017 revealed that the Universityâ€™s registration fees were among the lowest in the country. Without any significant cash reserves and having operated for years as a going concern on the bases of a healthy cash flow enabled by a relatively exclusive and well-off constituency it served, the financial risk became real,” the university said. “An agreement was reached following discussions between the University and leadership of both the outgoing and new Students Representative Councils (SRC) to split the initial registration fee amount payable between tuition and residential fees with an amount of 10% payable for tuition and 25% of the residential fees payable as the Initial Fee Payment. 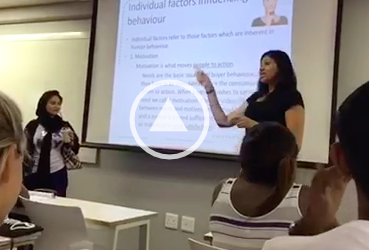 “The use of the term ‘Initial Fee Payment’ was motivated by the confusion that exists in the higher education sector on the use of the term ‘registration fee’. For some universities, ‘registration fee’ is an amount of money levied on students which separate from, and in addition to, the tuition and residence fees. In the case of Rhodes University, the Initial Fee Payment is a portion of tuition fees and residence fees (where applicable). “The review of the percentage payable at registration from 10% of all fees to 10% of tuition and 25% of residential charges was approved by Council and announced by the University as the Initial Fee Payment. In line with the agreement with the Department of Higher Education and Training and NSFAS, NSFAS-qualifying students will not be required to pay the Initial Fee Payment,” the university said.